It is hard to believe that we are five weeks away from San Diego Comic Con. I had a small bump in the road in regards to my trip, but the kindly folk at Southwest were able to change my flight as I am going to remain in the Midwest about one month longer than I had planned. With my upcoming trip rapidly approaching, I am going to approach my weekly entry a bit differently. I will continue to provide a weekly comic book round-up, albeit a smaller one, but I will also devote space to SDCC news that I think is of interest. While I try to avoid spoilers in my reviews, if you do not want to be spoiled by the bomb dropped in this week's Star Wars comic do not read my review. While I am far from an expert and didn't attend SDCC before it was cool, I will be making my 7th trip to San Diego in what has become an annual tradition. Each year I try to do something a bit different and also attempt to do less. SDCC is an overwhelming experience and I have learned cherish the moments that are a bit off the beaten path and don't involve crazy long lines. In years past events have included Hop Con and Funko Fun Days. I would love for this year's new experience to attend a taping of Conan, but will more likely spend additional time in the tabletop section of the con. I am anxiously awaiting the schedule to be announced so I can figure out how to balance time in the convention center and time at some of the amazing off-site events. All I know this year is that I must attend the Gravity Falls panel and I already secured my daughter's prize courtesy of Mattel's voucher system. I feel like I am in the final days of summer vacation and getting ready for another exciting school year. I have my backpack picked out, some new clothes, and hope to make some new friends. 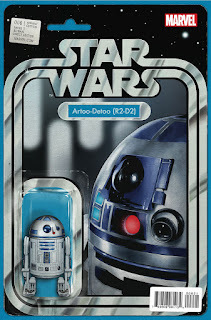 Star Wars #6 - Jason Aaron just made Star Wars history. In this week's issue, which is considered canon, we learn a bit more about our beloved smuggler Han Solo. It appears that Han Solo was married during the events of A New Hope. After narrowing escaping the enemy to one of his secret hideouts, his attempts at flirting with Leia are interrupted by the appearance of Sana Solo, his wife. I personally think it is an interesting choice and am excited with the development and the impact it will have on the characters. A good number of fans are none too pleased and most appear to have their fingers in their ears yelling "I CAN"T HEAR YOU!" Oh yeah. The comic is also still really good and I have been really impressed with Marvel's handling of Star Wars. 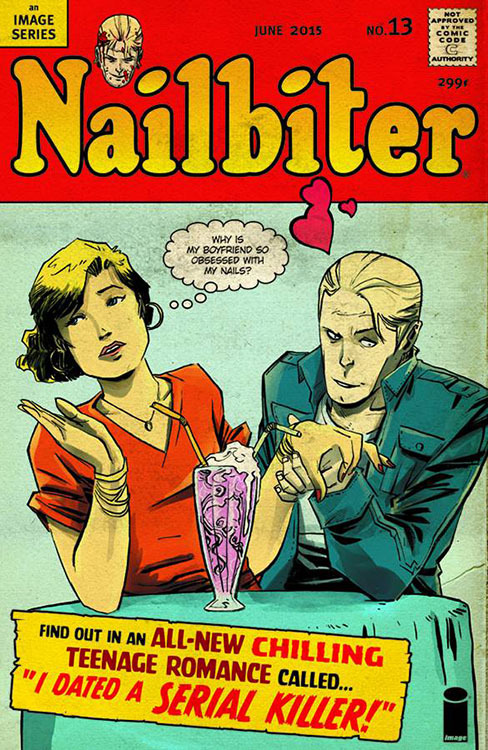 In a much more concise manner I will inform you that Nailbiter #13 provided valuable insight on Shannon's and Finch's romantic relationship, had the best cover of the week by far, and remains one of the best horror books on the market. The other Star Wars books that dropped this week (Princess Leia and Darth Vader) did not have any shocking developments, but remain as some great books that any Star Wars fan should be reading.